Happy Friday and welcome to another episode of #ThatBusinessShow with your host, Jamie Meloni! As always you can find the show on #1250whnz 8 AM every weekday, or on www.tampabayradio.com. Also check out my YouTube channel at www.YouTube.com/Jamiemeloni. As usual we had a great lineup being interviewed today. On our first segment we had Jim Coble, founder and CEO of DQC International, corp. 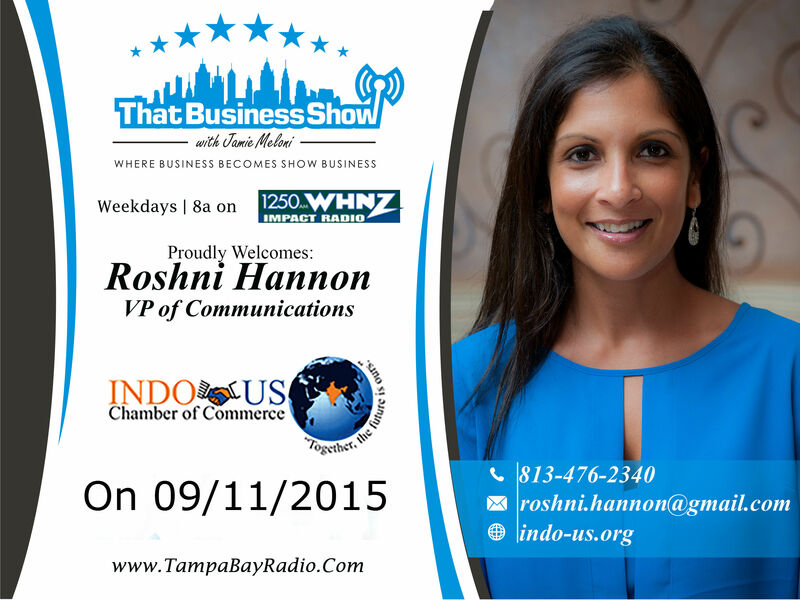 Joining us next was Roshni Hannon, former executive producer of Fox 13 Tampa Bay, and now she is currently Vice President of Communications for the Indo-US Chamber of Commerce. Joining us on the last segment was George Lakiotis, Senior Network Engineer of Symmetric Engineering Group. Again, happy Friday here on #ThatBusinessShow and remember on this day of solemnity the sacrifices of those who have gone before us to defend freedom around the world and remember the fallen from 14 years ago. 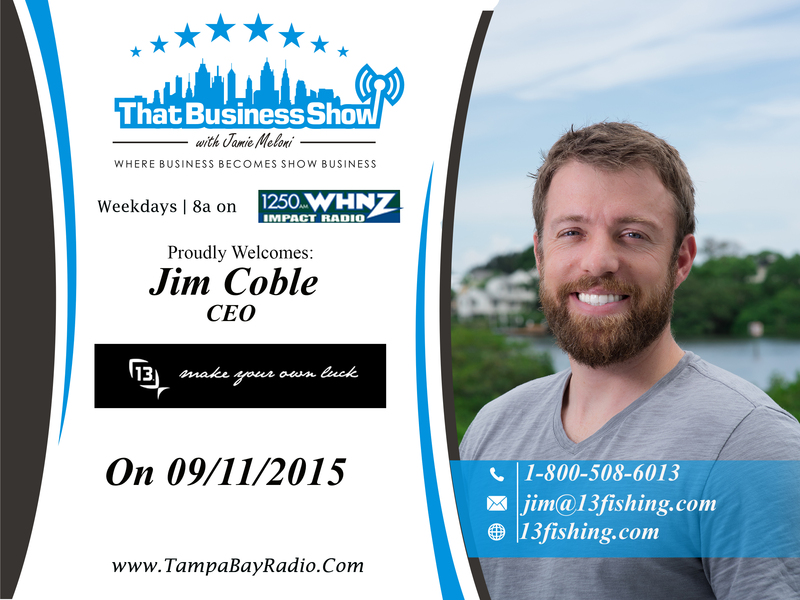 On our first segment we welcomed Jim Coble CEO of DQC international, and 13 fishing. Jim is a true entrepreneur, coming from a small town in Iowa and learning the trade of the bait and tackle business. As he used to work for big companies, he realized that he did not like the way things were operated and wanted to move into a more personable way of doing business. As he told Jamie, therefore he created DQC international. DQC international is a growing manufacturer of several different tackle and hunting brands including 13 fishing, Sixth Sense, and No. 8 Tackle Co. His goal is to impact the world in a positive way to the outdoors and through his company he is the fastest growing fishing tackle manufacturer in the world winning many awards. He spoke with us about his story and how his business is now growing in Florida and has become the largest manufacturer for bait and tackle in Florida. Learn more about Jim Coble and DQC international Corp. at www.13fishing.com! Remember if you missed Jim on that business show, head over to www.tampabayradio.com! Next we welcomed Roshni Hannon, Vice President of Communications with the Indo-US Chamber of Commerce. Formerly the Executive Producer of Fox 13 Tampa Bay, she left television because of a change in philosophy. She knew that she wanted to pursue community service, and to put forward her talents into writing and video storytelling. As she is currently the Vice President of Communications at the Indo-US Chamber of Commerce, she is helping to host the upcoming Banyan Ball. The Banyan Ball is a Black tie gala that honor businessman and businesswomen of the year, and also recognizes an awards entrepreneurs. Find out more at http://www.indo-us.org/ai1ec_event/banyan-ball-september-26th-2015/?instance_id=240. Additionally she is hosting the TiE Conference in Tampa on Oct. 3rd and 4th, and event which celebrates entrepreneurs. You can find out more about that at http://tieconfl.com. You can contact Roshni Hannon and learn more about the Indo-US Chamber of Commerce at www.indo-us.org. 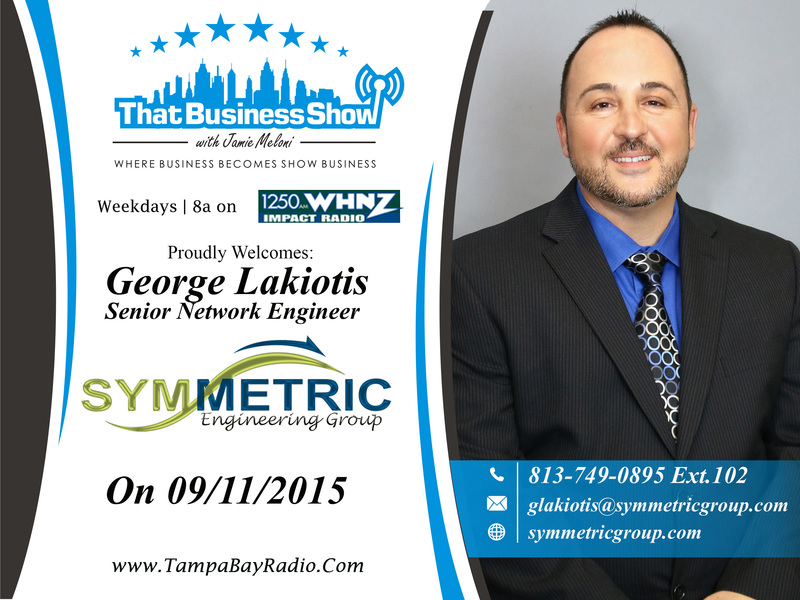 On our last segment, we welcome George Lakiotis; Senior Network Engineer of Symmetric Engineering Group. Beginning nearly 20 years ago, he used to work for several and large companies in Tampa. Being an entrepreneur at heart, in 2008 he started Symmetric Engineering Group in his own home and now has quickly grown into a large office and is based in Tampa. Symmetric Engineering Group now delivers managed IT services and private cloud services to businesses in all 50 states. George spoke to us about the company’s future, about protecting your personal data from malware and viruses, and how Symmetric Engineering Group protects their clients from the thousands of threats that emerge every day; keeping their companies running and their personal data protected. http://www.symmetricgroup.com/ to find out more! This entry was posted in Articles, Entrepreneurship and Business and tagged business, business travel, entrepreneur, show business, travel. Bookmark the permalink.